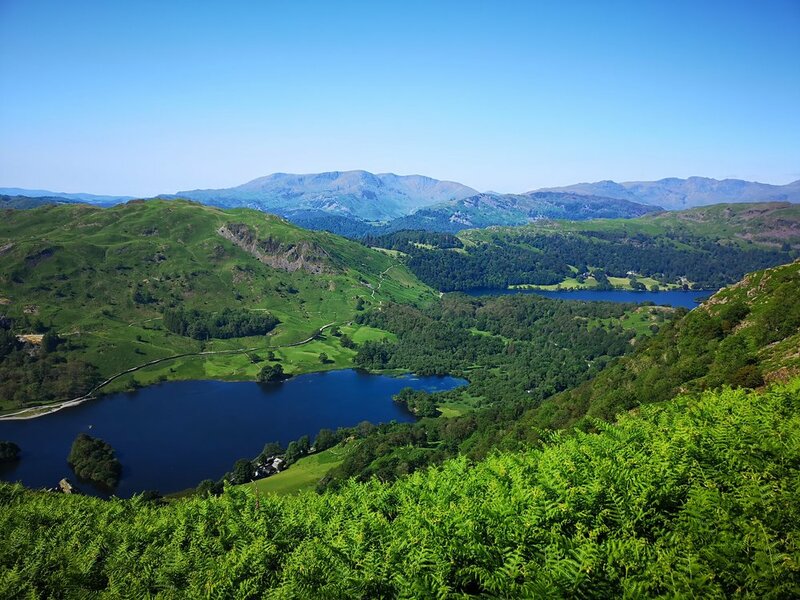 We booked a stay over in Rydal with the aim of completing the Fairfield Horseshoe before we moved on further north to Keswick. When we headed off first thing the sun was beaming down and we found that it was going to be an excellent day for walking. 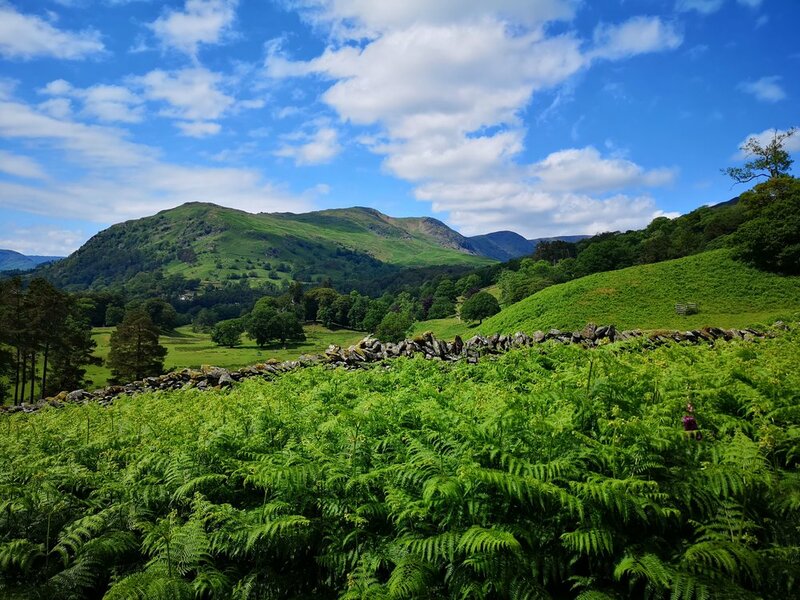 We started just off the A591 and headed up past Rydal Church which was a pleasant surprise as we were able to walk through the small but immaculate gardens. Heading out the other side of the church we turned left up the lane and headed past Rydal Mount and Gardens before taking a quick left onto the hills. The first part of this walk probably felt steeper than it was, not helped by the beating sun but we soon got into our stride and not soon after we reached the first of our peaks in Nab Scar. 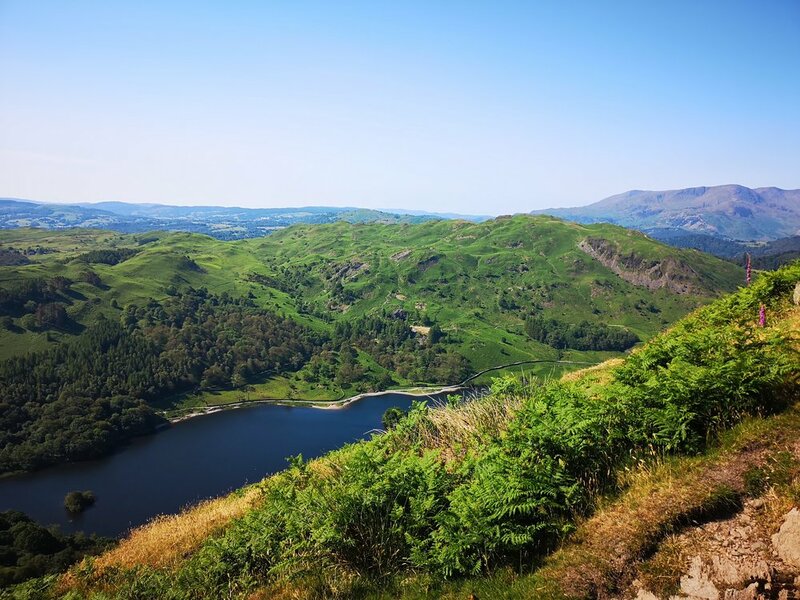 From here, the views back towards Rydal water and Buttermere were fantastic, definitely up there with the best we have seen especially on such a beautiful day. From here moving on up towards Heron Pike is rather steady, you are always climbing up, but at such a gradual rate it doesn’t slow you down too much. Again, the view's from here are great and you start really getting a feel for the horseshoe, you can clearly see the ridge on the opposite side that you will be moving along. Moving on from Heron pike you head towards Great Rigg, this is a quite prominent "bump" along the ridge line, and you do gain some height again here, never to steep and never too difficult it's pretty straightforward to follow. 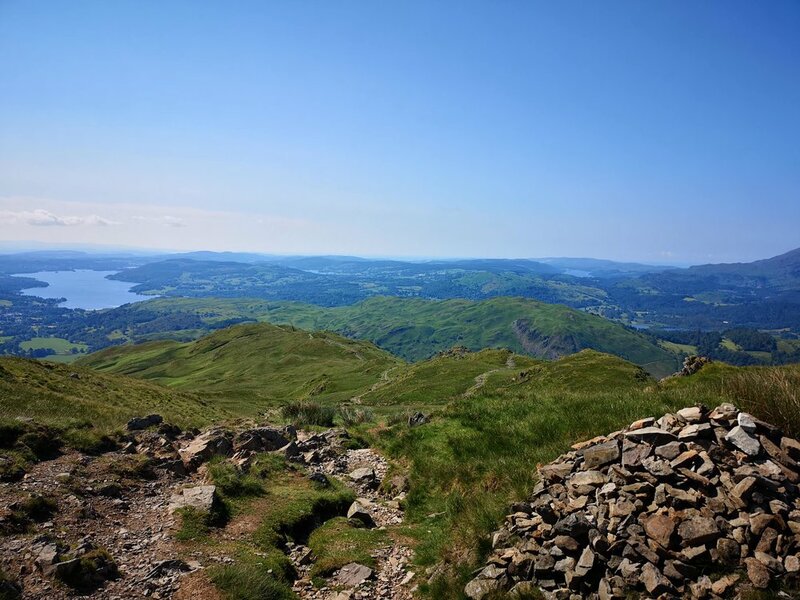 Great Rigg yet again has the views, although by this point you don’t get too much of a change until you look back towards Windermere and the Coniston range, which looks fantastic on a clear day from this angle. But we didn’t want to wait here long, as we knew we were getting close to Fairfield and the high point of the walk. 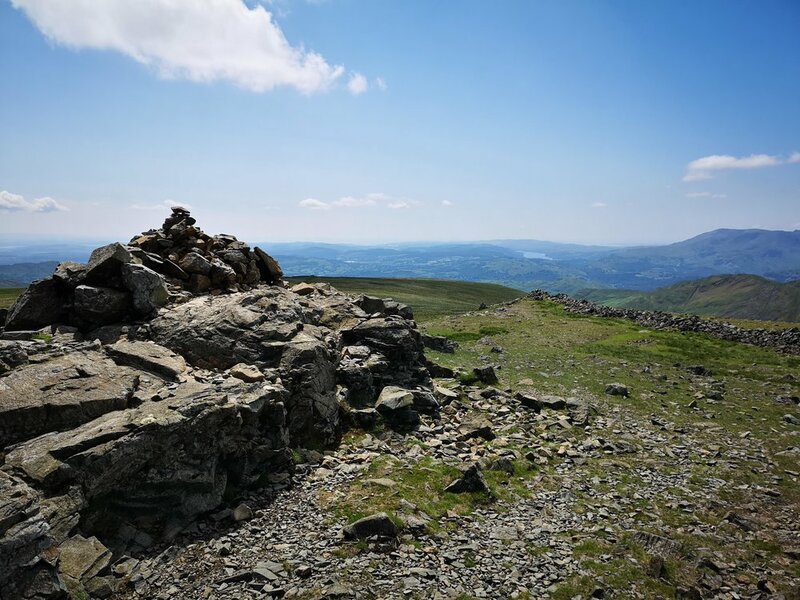 The hike from here to Fairfield is again very easy and straightforward, and you will soon get to the flat wide peak of Fairfield which was fantastic on the clear day, we could see stone shelters and peaks in every direction, each time we turned was a new photo just waiting to be taken. However, it is at this point I would urge a huge amount of caution if you are approaching this in bad weather. Due to the flat and wide structure of the peak, it would be very easy to get turned around here and headed off in the wrong direction. A GPS device would probably come in very handy here for anyone thinking of attempting in bad weather. After sitting and eating some lunch we headed back off to the other side of the horseshoe with Hart Cragg Clearly in our sights. There is a bit of a downhill at this point, before heading back up towards the peak, the ground got a bit tougher here with loose rock and harder stones underfoot, but again none of this was difficult to walk. At the peak we found ourselves following the route we took up from the bottom all the way to where we were stood, it's great to see your whole walk in one view but having a different view down! Heading down the fells, we next came to Dove Crag, this passed us by quite quickly as it was actually quite busy with there been links to some other fells and walks. We continued down and passed by High Pike and Low Pike, again these were easy to find and the route down was just as straight forward as the walk up. However, this did change slightly for us when we came across Sweden Crag, which wasn’t going to be easy to navigate down due to the steep flat sides and not much space for manoeuvring. We decided to head back and around (after quickly spotting a route on the map), this route is much easier, and if you check out our route you will see a much better place to turn off and stay on track. Once we were past this, it was clear sailing to get down the rest of the walk. A very obvious path to the bottom leads all the way down to the edge of Ambleside, our route was to get back to the car and head off further afield, however it's a very short walk to Ambleside and rather than turning right at the bottom as we did, you can turn left to get there. 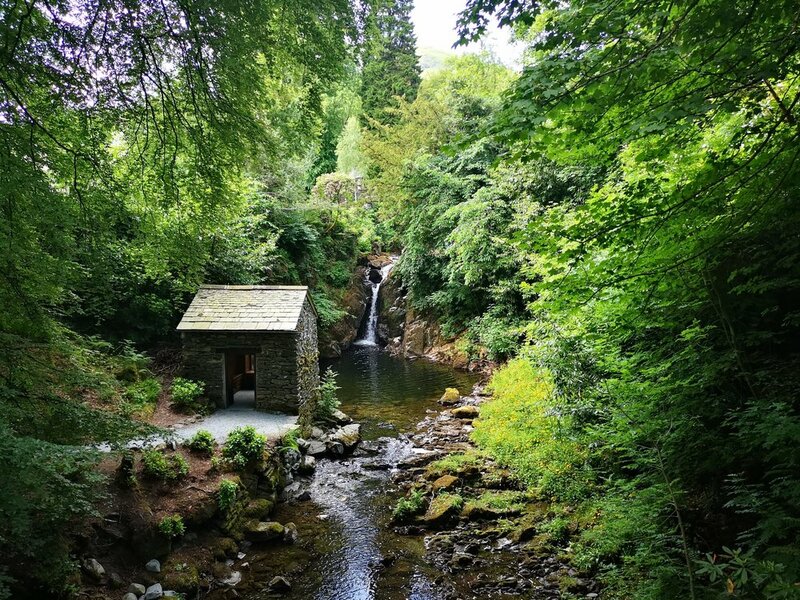 We headed right and across back towards Rydal, you follow through a small woodland area and past a grand manor house with a beautiful waterfall in its grounds. From here we were back at the church we started below, so we followed our original route back and to the car. 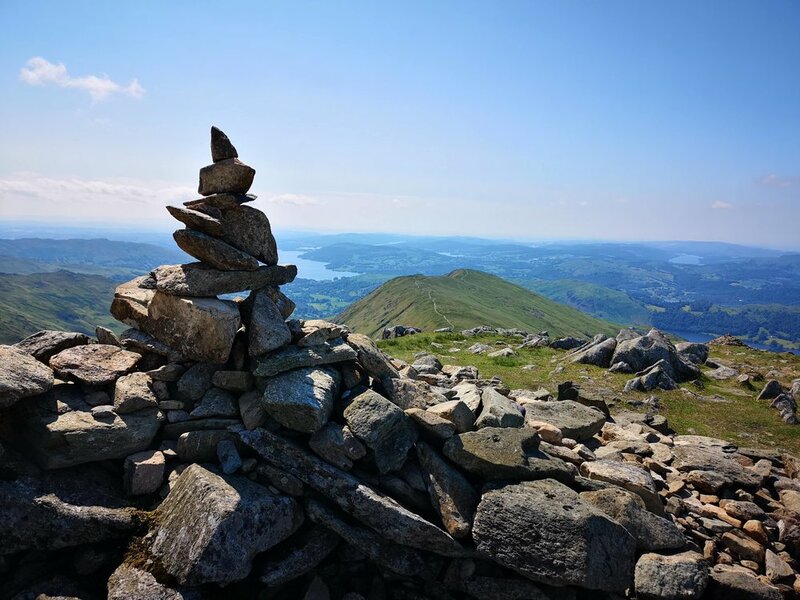 This was a fantastic walk, not only did we manage to get a load of Wainwrights we had been looking for, we got some amazing views and a great walk in amazing weather. This is a route that doesn’t require a huge amount of skill to complete, but a general fitness level is a must. All in all, this is up there with our favourite walks. The 3D Mapped route of our Fairfield Horseshoe walk. 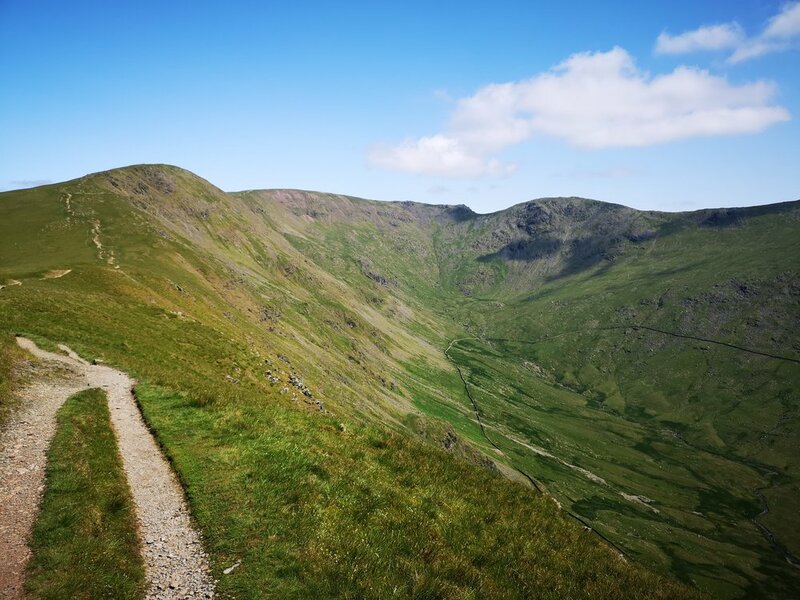 Bagging a huge number of Wainwright fells on this steady climb to the high peak of Fairfield taking in the following collection of fells: Nab Scar, Heron Pike, Great Rigg, Fairfield, Heart Crag, Dove Crag, High Pike & Low Pike.